Japan’s Agency for Natural Resources and Energy has announced plans to build the world’s largest offshore wind farm near Fukushima as part of plans to reconstruct the area stricken by nuclear disaster in 2011. The project aims to address electricity shortage issues that arose after the closure of the damaged Daiichi power plant and 54 other nuclear reactors throughout the country. The plan is to build 143 turbines by 2020 with the capacity to generate 1 GW of power, which will help make Fukushima energy self-sufficient by 2040. The 2011 nuclear disaster in Fukushima has caused a strong public anti-nuclear fervor in Japan, and initially led to a plan to close all nuclear power plants — a plan that the new government has since retracted. The Fukushima wind farm, however, comes on the heels of other investments in renewable energy, such as a 7,000 kW solar power plant that was constructed last month by TEPCO. The project is hoped to be commissioned in 2015, with a total of 143 wind turbines projected to be erected 16 km from Fukushima by 2020. 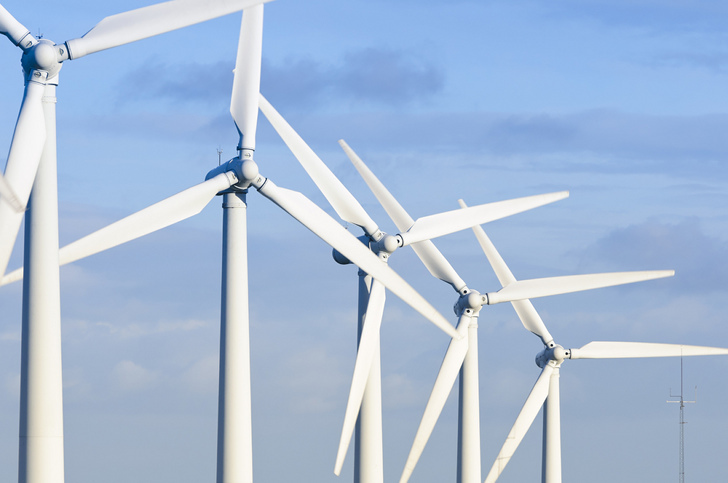 The predictions state that Japan’s new wind farm will generate more power than the world’s current largest wind farm at at the Greated Gobbard farm near Suffolk, UK. The 200 meter-high turbines will be built on buoyant steel frames stabilized with ballast and anchored to the continental shelf surrounding the Japanese coast. According to project manager Takeshi Ishihara of the University of Tokyo, the frequent seismic activity Japan faces will not present a problem for the project. Early computer simulations have shown that the turbines would be safe in extreme weather conditions. A wonderful and fitting after event for their devastating nuke venture! More good for them!! You might call the media articles on radiation escaping Fukushima as scare mongering but what about the 100 000+ residents who are yet unable to return safely to their homes? @rnbram: Do you live in denial or something? What happens when a reactor overheats, well Chernobyls a bit of an problematic area, i'd say. And what about the nuclear waste, yes dig it down for centuries and years to come.. such a smart thing to do yes. Not that i'm a hippie or anything, but windmills will never get anyone killed when they're faulty, nor will solar panels. Obama's energy policy is right. Japan's FiT in July is among the highest in the world. Japan's FiT is shaking the renewable energy market. New solutions will be showed in Japan. This is it! Floating wind turbine is one of the best solutions for USA and UK. U.K has more install places around its shores than any other in the world. USA has Atlantic Coast. As you know, Every year Some typhoons arrive Japan. The typhoon has strong wind. Floating wind turbines must have constructed to resist typhoons. So they have to reduce vibration to install floating wind turbines on the sea. Because, it makes many kinds of problems! It's increasing the durability problem of floating wind turbine. Vibration’s caused by wind, waves and external forces. 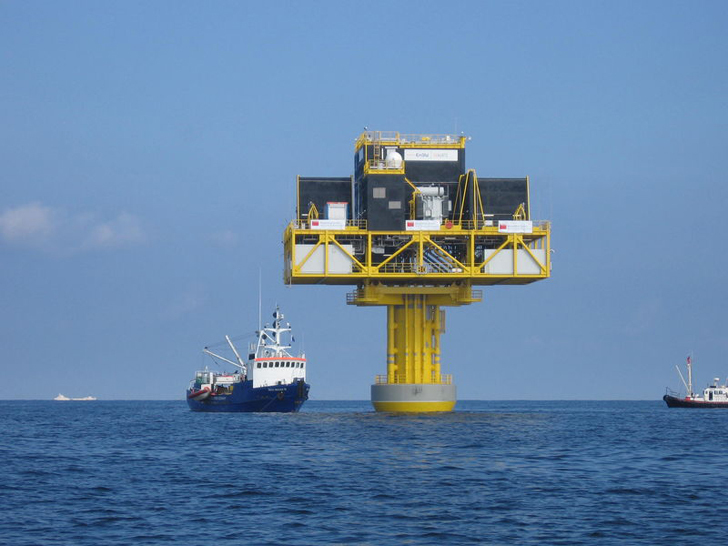 New Floating Body Stabilizer for floating wind turbines has been created in South Korea. The Floating Body Stabilizers generate drag force immediately when floating wind turbines are being rolled, pitched and yawed on the water. Recently, this Floating Body Stabilizers have been used to reduce vibration of floating solar panels in South Korea. You can see New Floating Body Stabilizer videos in YouTube. http://youtu.be/O2oys_YHhCc, http://www.youtube.com/watch?v=nA_xFp5ktbU&feature=youtu.be. @xsimpletunx good point, though it's a detail. If the wind farm has the capacity of 1 GW, that is not enough to even replace 1 nuclear reactor. Even if they built one of these giant wind farms a year, they wouldn't accomplish the stated goal by 2040. Or are the numbers stated in your article incorrect? What will happen to the turbine structures if a tsunami came through. Nothing? I wonder if the cost of ensuring that level of safety for the wind turbines would be all that different from improving tsunami & earthquake protection for nuclear plants. Keep in mind that the Fukushima nuclear _disaster_ caused no deaths, no noticeable radiation damage to any individuals, and radiation that entered the ocean (already radioactive) and atmosphere quickly dissipates. To get an idea of natural radioactive levels see http://www.physics.isu.edu/radinf/natural.htm Then appreciate how enormous the ocean is, as a diluting factor. Some are making news by reporting the increase in radiation as it spreads across the ocean... but they do not put it in the perspective of existing radiation. The idea that Fukushima radiation in the ocean is some sort of catastrophe is hyperbolic scaremongering for political purposes, not reason.